The film opens with a woman called Esther going through a miscarriage. At the hospital she exclaims, “not again!” which makes us aware that she must have been through this on other occasion(s). We find out this is Esther’s third pregnancy. Susana is Esther’s “best friend”. Quotations must be used here as her actions don’t convey that of someone who is a best friend. Susana spreads the news of Esther’s miscarriage with glee declaring her a “witch” and a “ritualist.” She curses her to the point of calling her a gold digger and skin bleacher. Susana sends her daughter to seduce Festus. It is as though she is jealous of the caring and loving relationship between her friend and her husband and seeks to destroy it. The plan works and her daughter becomes pregnant. Festus is forced to take Susana’s daughter Kate as a second wife. It is not long after that Susana and Kate are ruling the roost and attempting to push Esther out of her matrimonial home. One day Kate’s baby is taken ill and whisked into intensive care. The baby is in need if blood and it is then that the truth comes to light. Festus is not the father of Kate’s child. Both Festus and Susana are in shock. It turns out that Kate knew that Paul, a village boy was the father as she experienced morning sickness before even sleeping with Festus. Festus is free to cut ties from those who have made his recent life a misery and that he does. In a miraculous twist of events his wife Esther becomes pregnant and gives birth to a boy after 15 years of trying. This film teaches us that what is done is darkness shall surely come to light; we also learn that what seems the impossible too can come true. Nolly, I agree with your rating. This movie is excellent! All the actors and actresses did a great job. The themes this movie brings out are not new. But even a movie with an old theme, when it's done well, deserves praise. Amen Amen Amen LOL I loooved this movie. 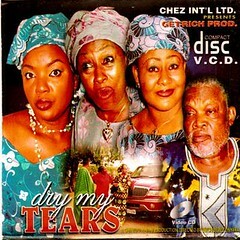 this is classic good Nollywood. I LOVE LOVE LOVE this movie. An all time favourite! patince was just too good in this one. enjoyable movie full of surprises and scandal, however i feel tht chioma is not suited for the role of a mean, cruel and selfish character.